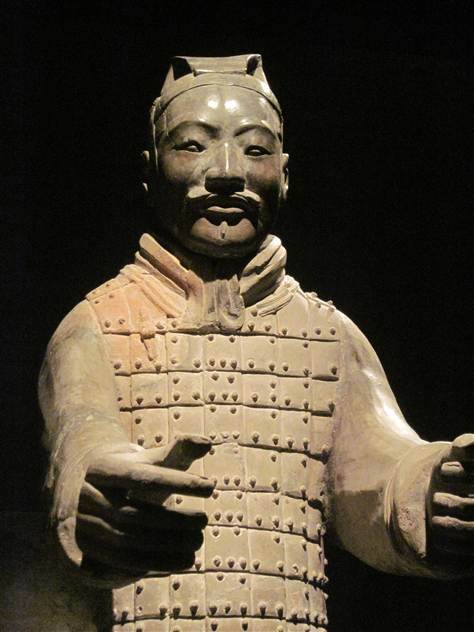 The Terracotta Warrior exhibition, featuring artifacts from the Qin dynasty and nine life-size statues from the extended burial complex built for Qin Shi Huang, is on display through Aug. 26. "It's really smart what the Chinese government is doing," Romey told LiveScience. "When we went into (Egyptian King) Tut's tomb, think about all the information we lost just based on the excavation techniques of the 1930s. There's so much additional that we could have learned, but the techniques back then weren’t what we have now." "In archaeological conservation, every year you have major new developments," Romey said. "When we began excavating (the soldiers) in the '70s, the minute they were exposed to air and sunlight, the pigment just flaked off. Now they’ve figured out a new technique where they can actually preserve the paint as they excavate." Perhaps, if science advances enough, that excavation wouldn't cause serious damage to the burial site, and the tomb will finally be opened.